Now available in the US from Marks 4WD Adapters are the long awaited lower transfer case gears for many models of the Mitsubishi Montero and Montero Sport! These new 2.85:1 transfer case gears produce a 60%+ reduction in gearing over the factory 1.925:1 ratio. I'm sure many of you are wondering, "What does this mean and why should I care?" If you never take your Montero or Montero Sport off of pavement then you probably don't need to care. Lower range transfer case gears (the gears you use when you shift into four wheel drive Low or 4-Low) cannot be used on pavement so this would be a useless modification for a street only vehicle. 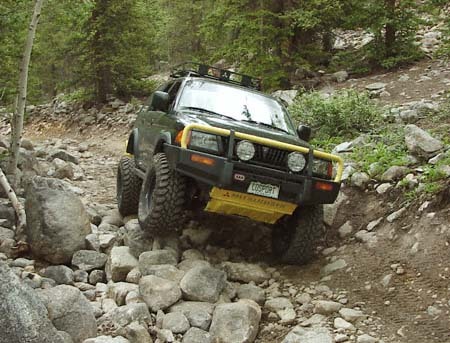 Additionally, most owners that do take their vehicles 'off road' typically do not visit terrain rugged enough to require the low speed and fine control lower transfer case gears provide. However, those who do take their Mitsubishi Montero Sports or Monteros off road on a regular basis in rugged, rocky terrain soon find that the factory transfer case ratio is ineffective. Climbing over car sized, jumbled rocks, ascending or descending very steep, rocky inclines or navigating rock covered off camber shelf roads requires extremely low speeds and precision control to avoid parts breakage, body damage and the possibility of a roll-over. Lowering the transfer case gear ratio in the vehicle decreases vehicle speed giving the driver the precision control needed to navigate difficult terrain easier and safer. Below is a chart showing a comparison of 'crawl ratios' calculated using the stock transfer case ratio and the new 2.85:1 transfer case ratio on Monteros and Montero Sports. The 'crawl ratio' is figured by multiplying the transmission first gear ratio by the transfer case 4-Low gear ratio by the differential gear ratio. 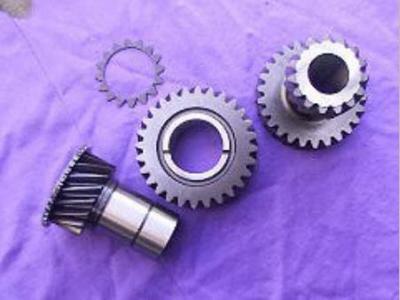 The resulting figure is the total gear ratio of the transmission, differential and transfer case - or Crawl Ratio. Typically, the higher the 'crawl ratio' the slower your vehicle goes and the more control you have. So, a higher number is better. 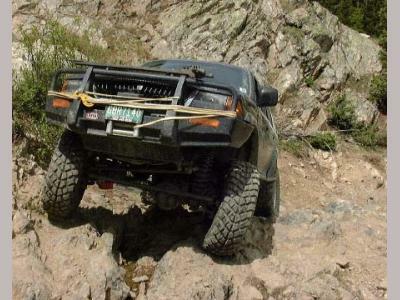 Montero Sport w/4.64 Differential Gears & New Transfer Case Gears! Montero w/4.88 Differential Gears and New Transfer Case Gears! Montero w/5.29 Differential Gears and New Transfer Case Gears!